LODHA PALAVA | LODHA SPLENDORA | LODHA AMARA | Lodha Exotica Palava CALL 995.895.9555. 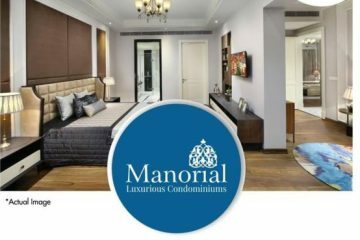 Lodha Exotica Palava-Lodha Group Lodha Exotica Dombivli (East) Mumbai Beyond Thane and Here you can Get all types of apartments . 1BHK 765 SA 495 CA – 41 – 48 Lacs All inclusive. 2BHK Optima 981 SA 634 CA – 63 – 67 Lacs All inclusive. 2BHK Ultima 1062 SA 686 CA – 72 – 74 Lacs All inclusive. 3BHK Optima 1314 847 CA – 83 – 85 Lacs All inclusive. 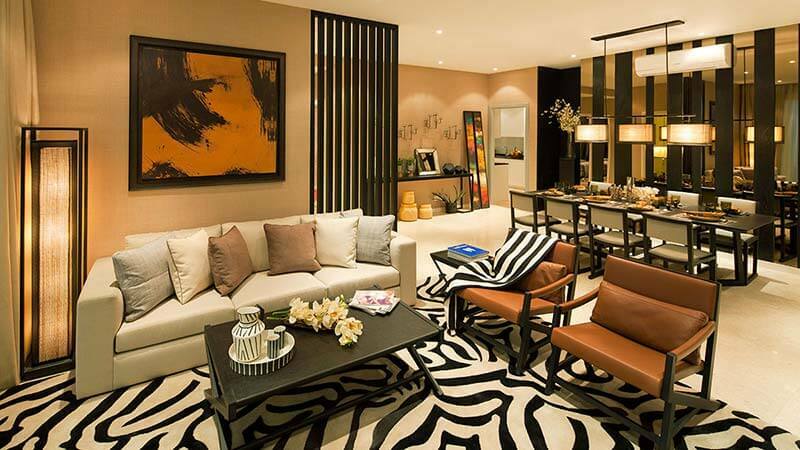 2.5 BHK Exotica 1503 SA 969 CA – 97 Lacs All inclusive. 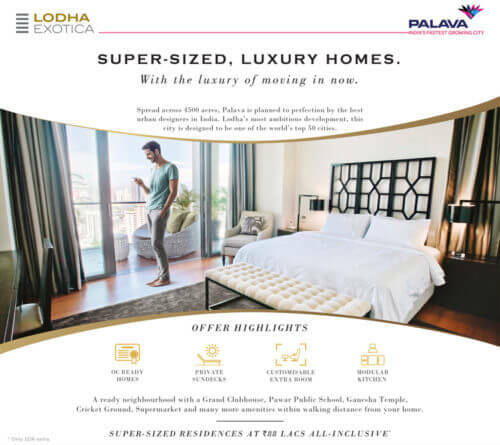 Lodha Exotica in Palava call.995.895.9555.LODHA PALAVA | LODHA SPLENDORA | LODHA AMARA | Lodha Exotica Palava CALL 995.895.9555. Lodha Exotica Palava-Lodha Group Lodha Exotica Dombivli (East) Mumbai Beyond Thane. THE CENTRE FOR ARTS & CULTURE: AS LARGE AS NCPA, AS ICONIC AS THE SYDNEY OPERA HOUSE. True to its mission of showcasing art, Palava’s cultural centre will be the creation of one of the world’s greatest architects. This centre will allow citizens to both showcase their work and admire the creations of others, perform and enjoy performances. An amphitheatre with space for 2,500 people. Multiple indoor auditoriums. Two exhibition spaces to display the outpourings of creative minds. Studios for learning and practicing dance, drama, painting, sculpting and music. TWICE THE SIZE OF GIRGAUM CHOWPATTY, INFINITELY MORE PROMISING. Much like Singapore’s Clarke Quay, the waterfronts promise to be prime leisure and entertainment areas. Restaurants and cafés will border the riverside promenade. an amphitheatre, boating, a musical water show, a museum for children, promenades, and a jogging track. OPEN SPACES THAT COMPRISE MORE THAN HALF OF THE CITY. 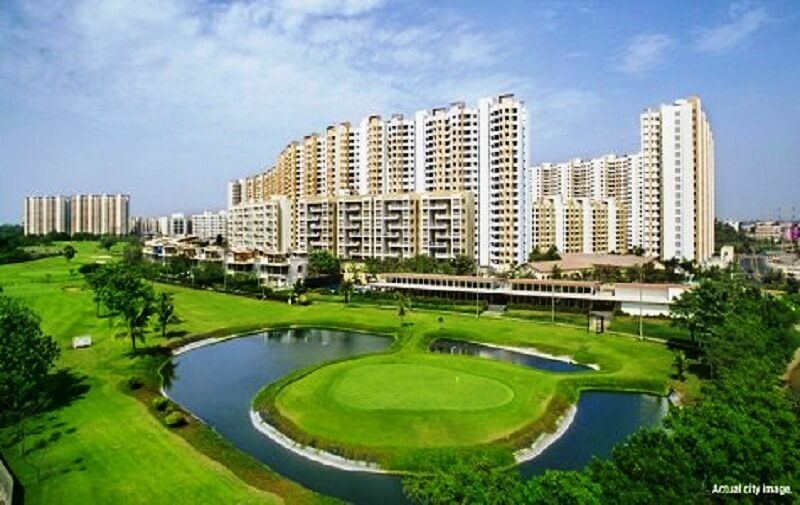 Over 60% of the total area of Palava is dedicated to open spaces; with over 25% set aside for parks, playing fields and recreation grounds (the ratio is 10 times higher than that of Mumbai). These green spaces both energise citizens with fresh air and provide enough space for them to jog, cycle and indulge in a number of athletic activities. A 100-acre central park much like the one in New York. Private gardens and playgrounds in each development. A 50-acre lakefront with a 2-kilometre periphery. Over 2 lacs trees will be planted across the city to improve the quality of air, 70% of which will be grown in Palava’s local nursery. This city does not limit greenery to parks. 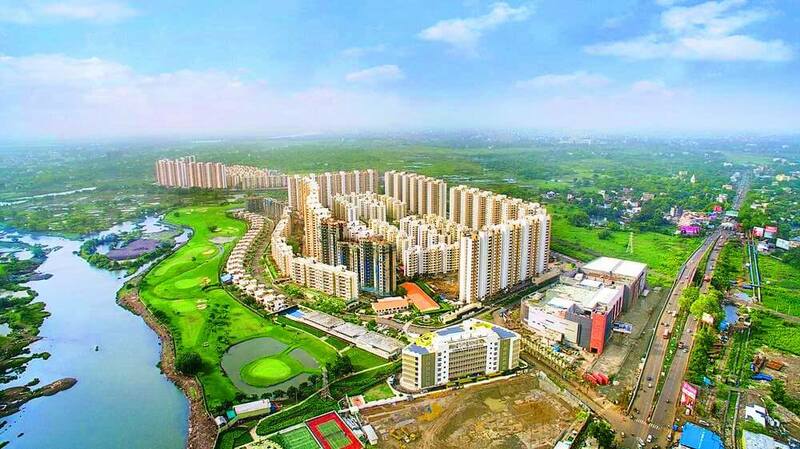 · Largest real estate developer in India (by sales) for the fourth consecutive financial year to hit the highest sales numbers, crossing INR 8,000 Cr. 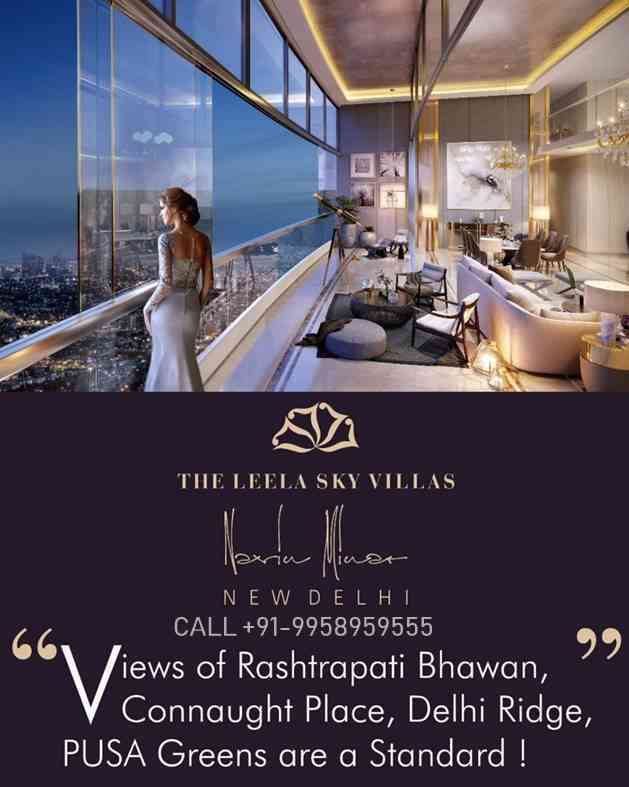 · Landmark developments including 117 floors, 1388 feet tall “World One” – World’s tallest residential tower. · Group has recorded the biggest land deal in India, buying a plot for INR 4,053 Cr from the Mumbai Metropolitan Region Development Authority. · Lodha Group is one of the largest corporate entities with more than 4,000 direct associates and over 25,000 workmen at its sites. A CITY THAT HELPS ITS PEOPLE GROW AND VICE VERSA. By 2025, Palava’s annual GDP will grow to 60,000 crores. The city’s economy will be spurred by significant demand for goods and services. Palava’s population will increase to over 1,00,000 families in 2025. These new residents will create a market for businesses like furniture and household electronics amongst others.The cultural centre, waterfronts, Olympic sports centre and other landmarks will attract tourists from around the world in addition to frequent visitors from Mumbai and Navi Mumbai. The services of hotels and convention centres will be in great demand thanks to the city’s commercial spaces. OVER 20 SCHOOLS EQUIPPED TO INSPIRE YOUNG MINDS. Each of the city’s schools – be they ICSE, CBSE, IB, or State Board â€“ will focus on all-round development; balancing scholastic lessons with extracurricular activities such as sports and the performing arts. Palava already has two ICSE schools (Lodha World School and Pawar Public School) operational for the 2015 academic session. Well-designed classrooms, Fully-equipped labs.Well-stocked libraries.Teachers well-versed in child psychology. A UNIVERSITY ON PAR WITH THE WORLD’S GREATEST. Designed to catalyse the region’s economic growth, Palava’s upcoming multidisciplinary university is a testament to the city’s foresight. This institution will be affiliated to international academic titans and will work with the city’s various institutions – such as the Centre for Arts and Culture and the hospital – to offer a truly immersive learning experience. With a focus on attracting highly accomplished faculty and ample resources for research, the university aims to create a culture of constant learning and innovation in the region. Over 100 acres have been set aside for this prestigious university. The first phase of the university will be ready by 2017. A CITY BUILT FOR FUTURE OLYMPIANS. In Palava, sophisticated sports facilities are available to anyone with a dream. This city does not believe in half measures. An Olympic sports centre with facilities for sports like swimming, squash, tennis, and badminton. Sports academies affiliated to professional academies like Golf Next at the 9-hole golf course. A world-class cricket stadium with a programme to be run by Cricket India Academy, the exclusive master right partner in India to run Cricket Education Program (CEP) designed by Cricket Australia (CA). Brett Lee is the brand ambassador of CEP and Mike Hussey along with women cricketers – Ellyse Perry, Alyssa Healy – as role models. Pravin Amre (the ex-Indian cricketer) is the Coach Director of Cricket India Academy. Cricket India Academy (CIA) is the cricket division of Sports Education Development India Limited (SEDIL). Over 25 neighbourhood clubhouses with facilities like indoor courts, gymnasiums and swimming pools. A CITY WHERE YOU WILL NEVER HAVE TO WORRY ABOUT YOUR FAMILY’S SAFETY. Palava offers numerous facilities to ensure its citizens’ safety so that your family can feel safe, day and night. Emergency response teams comprising ambulances, fire engines, the police and the protection force, with a maximum response time of 10 minutes. Video surveillance in public places to deter criminal activity. Palava protection force, a highly-trained security unit. 24×7 monitoring by the central command centre for prompt reaction to emergencies. Street-level panic alarm systems located at short intervals to help residents immediately alert the command centre in case of an emergency or crime. Electronic access control systems in buildings to deter intruders. Automatic fire alarms in buildings that will alert the command centre and prompt residents to evacuate in case of fire. BUSES AND TRAINS AS GREEN AS PALAVA, CONNECTING YOU TO THE WORLD. 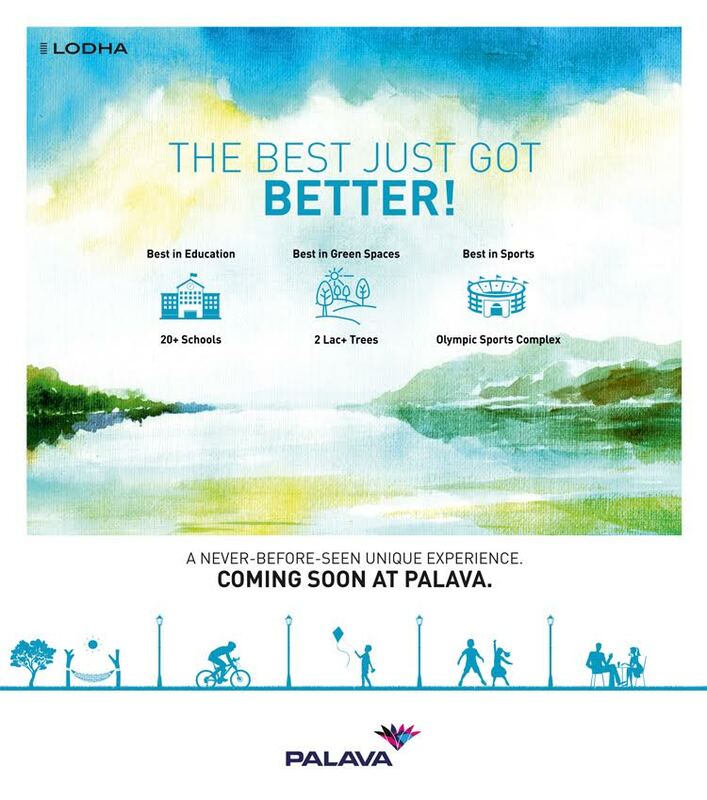 In Palava, everything you need is within walking distance. But even though it’s a delight to walk in– with wide tree-lined pavements – the city has an eco-friendly and efficient transportation network. A fleet of hybrid, CNG, and electric buses, which will run every 5 minutes during peak hours, will provide service within the city to Palava’s citizens and stakeholders. Bus stops will be within 5 minutes of every residential building. Intercity buses will drop citizens to commercial hubs like Thane and Navi Mumbai, and nearby railway stations like Dombivli, Kalyan, Thane, Vashi, Airoli, Ghansholi, Rabale, Diva and Nilje. A state-of-the-art transport hub will connect to external transport facilities like state buses, autos and taxis. WORLD-CLASS HEALTHCARE FACILITIES TO LOOK AFTER YOU. BODY AND MIND. While the city’s natural surroundings will do much to benefit one’s health, Palava’s healthcare institutions will be as modern and well-equipped as they are accessible. Hospital by a renowned medical chain (opening in 2016). the university to encourage research and development. Pharmacies and clinics within 10 minutes of residential areas. RELIGIOUS BUILDINGS: THE GODS NEED A FITTING ABODE. This city has taken into consideration every aspect of a well-rounded life. Including the spiritual. • A Ganesha temple. • A Ram, Sita, Lakshman, Hanuman temple. • A Shiva temple. • A Balaji temple. • A Krishna temple. • A Jain temple. • A Gurudwara. 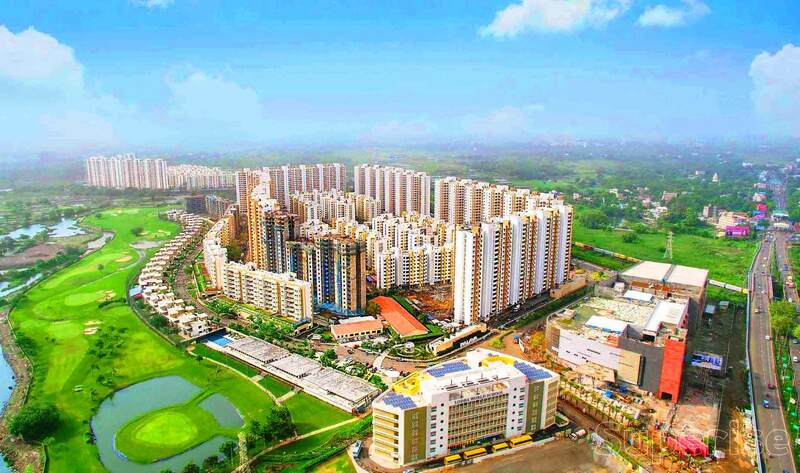 Property Description A 4500-acre smart city located between the economic triangle of Navi Mumbai, Thane and Kalyan. 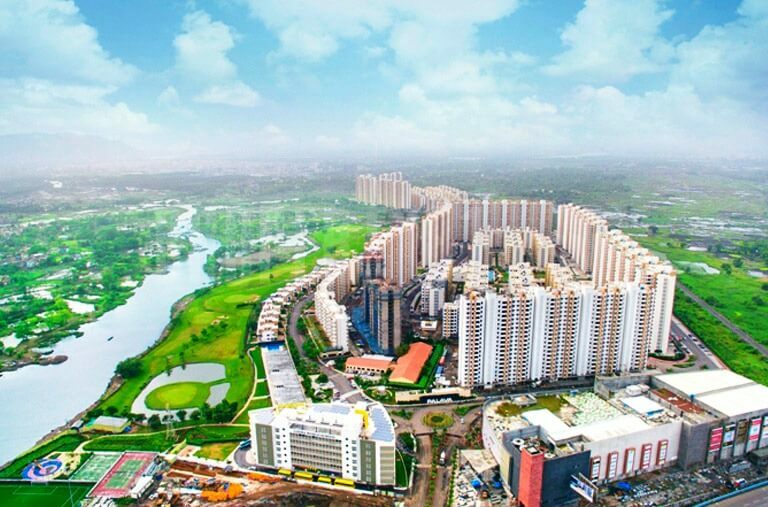 A grand 40 acre neighbourhood inspired by tropical hill side living, with a master planned landscape by Sitetectonix Singapore India’s most successful real estate neighbourhood. A 40 acre estate designed by the world’s best master planners designed to let you do more, live more. 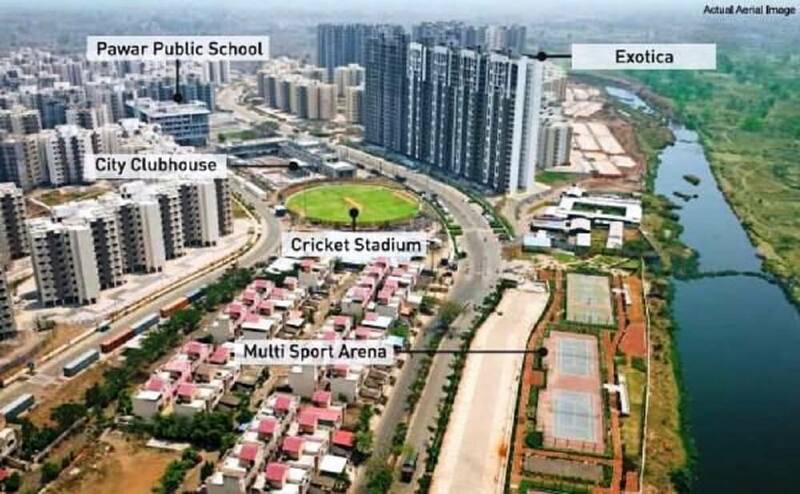 • Elevated sports arena with tennis courts, cricket pitch etc. • 800 m jogging track Party decks, including a floating deck at the pool. • 4 tier security Residence design guided by the principles of vastu. • Premium bath fittings by Kohler/Grohe Optimal space planning, with closet space in every room, and separate storeroom and utility areas. Grand Clubhouses with movie theatre, gym, café, banquet hall, indoor games Large windows for ample natural light and air. · Control lighting, temperature, blinds, security and more. · Smart home controller connecting motion sensors, smoke sensors and alarms. · Immediate alerts to registered mobile numbers and email addresses in case of an emergency. · Fully customised and easy-to-use control system with energy-saving benefits. · Designed to fit into the aesthetics and styling of the residence.